Established just in 2014, BetHard may not be a popular casino, but it has left a mark on the online casino industry. The casino is owned and operated by BetHard Group Ltd. which also runs several other online casinos including NightRush, LetsBet, among others. Even though it has not so good reviews in some areas, it is still a force to reckon. BetHard is licensed and regulated by the Maltese Gaming Authority (MGA) and Curacao eGaming. Here is a review of this top online casino. 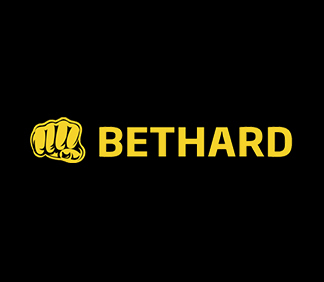 Joining BetHard is just as easy as joining any other online casino. All you’re required to do is sign up and deposit some cash. Take advantage of the welcome bonuses and free spins among many other occasional promotions. To get the latest news, visit the BetHard promotions page to get the latest discount offers. We also recommend using the free spins to learn the ropes around. Please note that players from some countries are restricted from playing on BetHard. Also, the promotions are for players from specific countries so make sure to read the Ts & Cs. BetHard boasts mobile and instant play platforms with an extensive range of gaming options. There are slots, roulette, video poker, bingo, scratch cards, keno among many others. Live dealer games are also available as well as jackpots so whether you are a casino gaming enthusiast or the casual gambler, there’s something for everyone. Among the popular games include StarBurst, Second Strike, TwinSpin, Sakura Fortune, among others. The wide selection of games is the results of the various partnerships with top gaming software providers like NetEnt, Playtech, iSoftBet, MicroGaming, among others. BetHard is among the casinos that offer very flexible banking methods. You can use eWallets like Paypal, Neteller and Western Union among others. Other deposit options include credit and debit cards like Visa and MasterCard. When it comes to withdrawals, you have the choice of e-Wallets that take between 0 and 24 hours while card transfers take 3-5 days. Interestingly, BetHard offers cheque withdrawals, but bank transfers are not allowed. BetHard boasts very responsive platforms and is compatible with iOS, Android and MAC OS. It is available in many languages and supports almost all the currencies. There is live chat support and a telephone line. You can also opt for the e-mail option. However, there are a few complaints regarding the turnaround time for e-mail support. It takes longer for the company to respond so better stick to live chat. BetHard is a great online casino that is in fact ahead when it comes to technology. Right now, they have rolled out virtual games, and with VR gambling in the offing, they should be among the pioneers. The only concern is the somewhat, unreliable support; live chat is not 24 hours and emails take long to be replied. But so far so good, the future looks bright for BetHard casino.